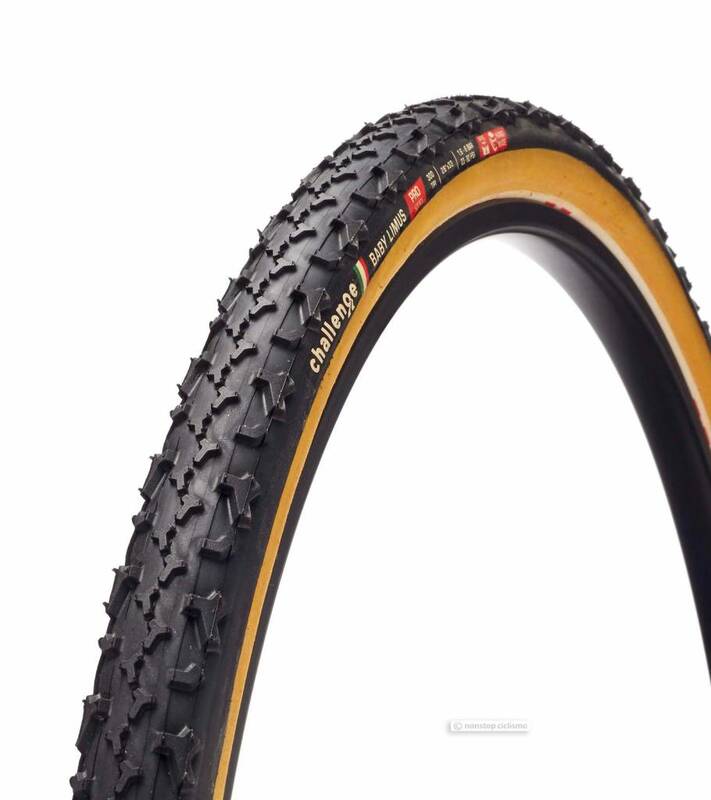 The CHALLENGE BABY LIMUS PRO is a cyclocross tire providing an aggressive tread that offers control and grip in mixed and muddy conditions. The tighter center tread pattern helps reduce rolling resistance while a taller shoulder tread pattern increases traction in adverse conditions. All Challenge tires are completely hand made; the tread is glued onto fully-inflated casing to achieve a neutral tread state when tires are in use.